It was such a nice weather perfect for a day of escapade. 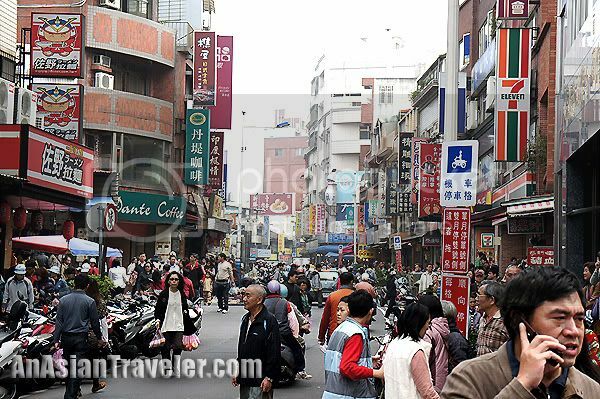 We headed down first to Danshui (Tamsui) Market just to look around, which is located in northern Taipei County, a 45-minute ride from Taipei main station to Danshui MRT Station. 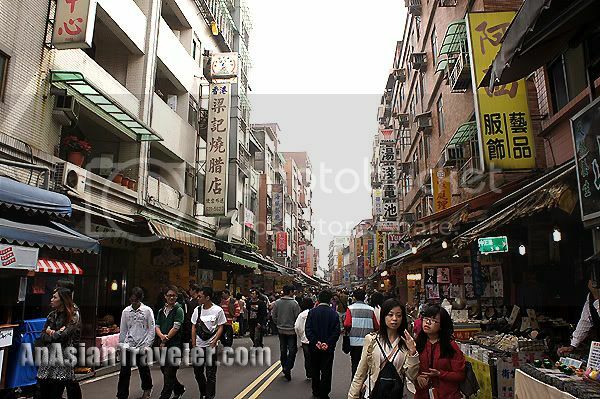 Arcades, traditional shops and restaurants can be found here. 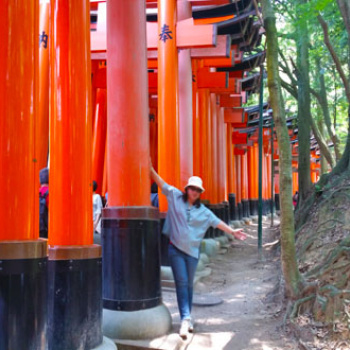 Most areas of this city are accessible on foot. 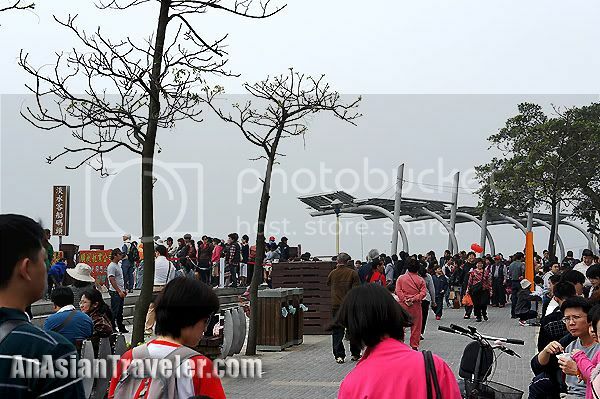 The crowds flocked on every corner of Tamsui (Danshui) Market, and snack shops are scattered throughout the street offering a wide array of choices. 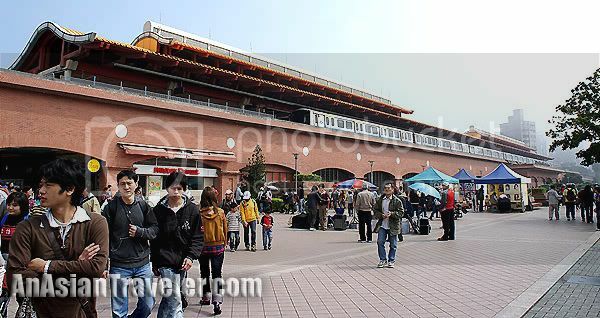 The Tamsui Market. Video credit goes to my dearest HB! 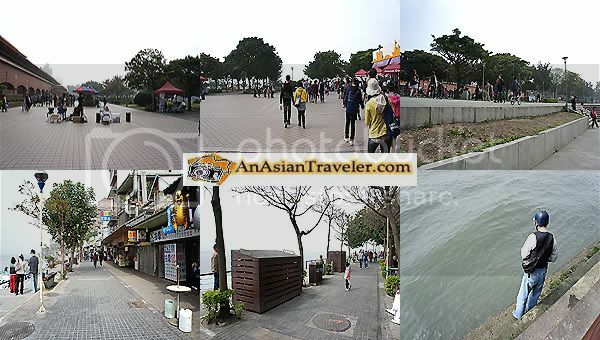 Then we decided to check out the Fisherman's Wharf which is at the western tip of Tamsui district. 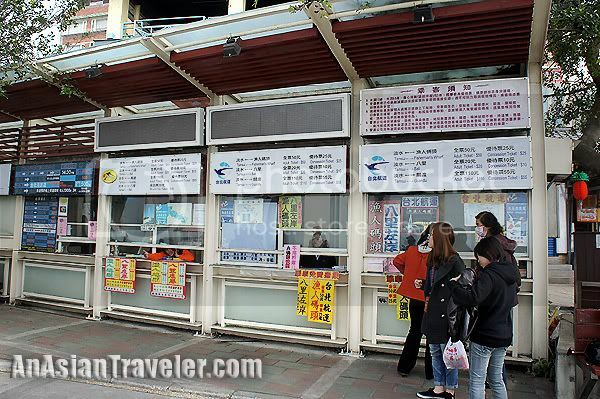 To get there, we got our tickets (NT$50 each, one way) at Tamsui Ferry Pier located near the north end of the waterfront area. 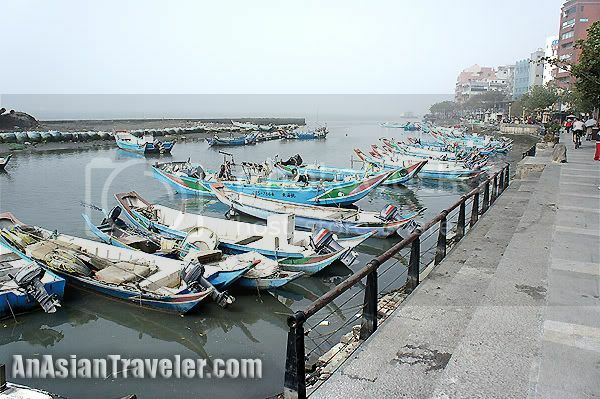 Aside from Fisherman's Wharf, they also offer a ferry ride to Bali Township for NT$20, and Guando for NT$110. And after a few minutes of waiting we were able to board the ferry. 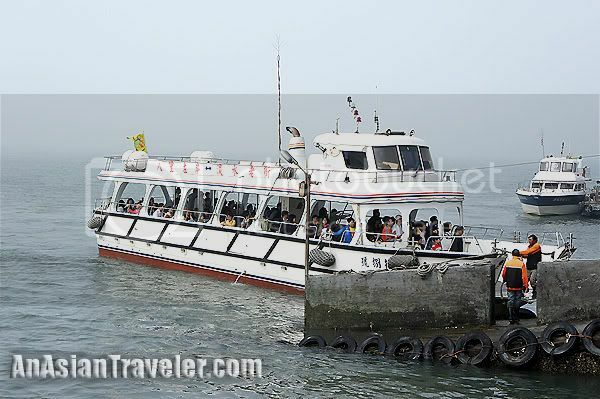 Cruising along the Taiwan's northeast coast and the Danshui (Tamshui) River. 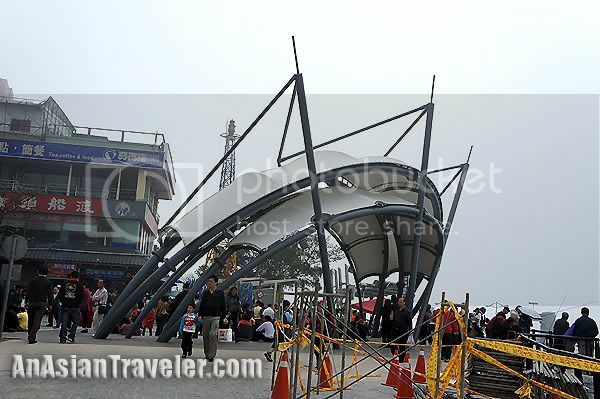 The cruise took only about 10 minutes and eventually made it to the Tamshui Fisherman's Wharf, a multi-purpose leisure fishing port. 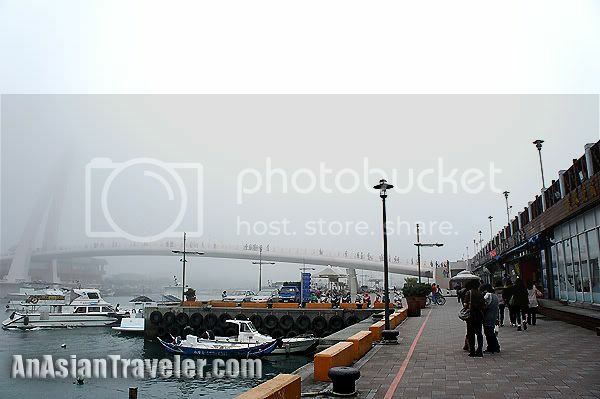 Then finally, in the distance, we saw the well-known Lover's Bridge spanning across the harbor. 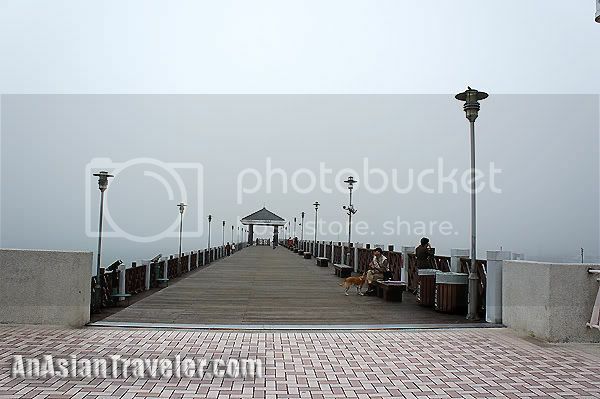 The Lover's Bridge of Tamsui is a white-colored cable stay pedestrian bridge. 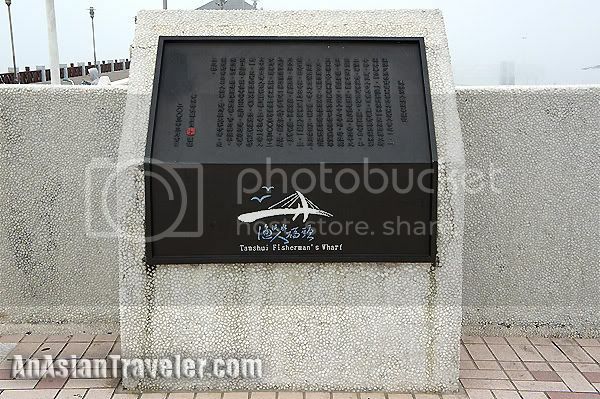 I've read that this is a popular shooting site for Taiwanese soap operas, and at night this bridge is the best place to watch the sunset. 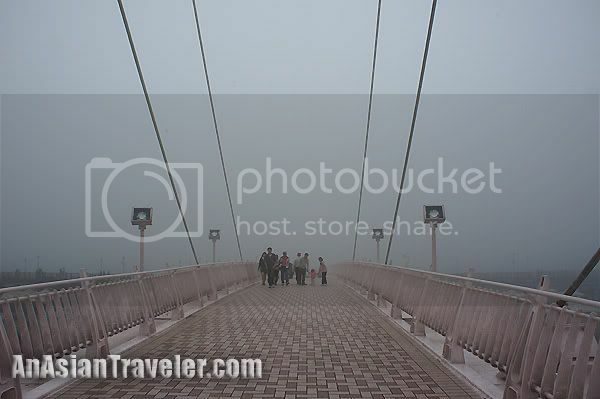 However, we went there about midday but as you can see from the photos it was a marvelously foggy day. Here's the video of Lover's Bridge. 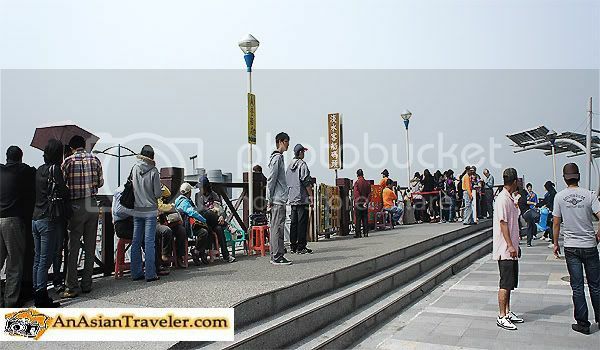 There's also a huge wooden boardwalk stretching over 300 meters at the waterfront. It's an ideal place to relax and just watch the world go by. 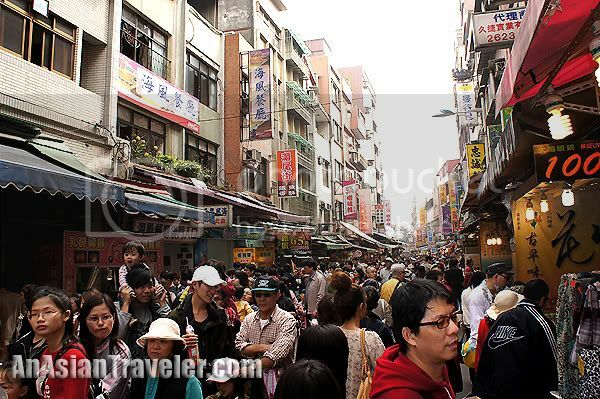 Going back to Tamsui Old Street, we were surprised to see such a huge crowd filling up the place. I guess crowds just kept getting bigger here as the day went on.